Racha Yai is about 12 km South of Phuket, hence a perfect destination for a day trip. Bungalow Bay usually offers calm and very clear waters, so it is a perfect place for Snorkeling and Scuba Dving. Siam Bay, just around the corner has a 'divers playground'. Underwater you can find a variety of submerged objects, all not deeper then 18 meters. Racha Noi is furter away and in combination with Racha Yai a great weekend trip. 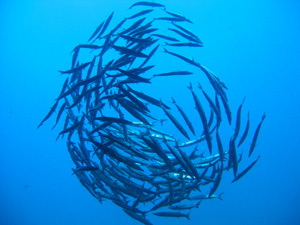 Here you will find deeper waters for more experienced scuba divers. Racha Noi Island is one of the best kept secrets for Private Phuket Sailing Charters. It is beautiful, unihabited and usually very quiet, because it is too far for day trips for the speedboats. We recommend doing an longer overnight trip to the Racha Islands, because you have a chance to see Racha Noi, where usually not many boats can go. 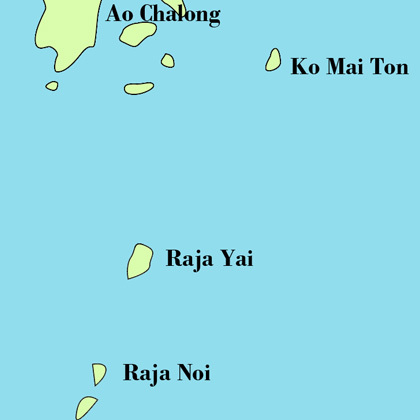 Both Racha Islands offer good snorkeling or Scuba Diving. Especially Racha Noi has deep and usually very clear waters.